As climate change intensifies around the world, countries must act to avoid catastrophic environmental changes. You can join us in taking action on this issue here. The more coal is burned for energy, the more the planet warms, and the more glacial ice melts. It’s an untenable relationship that could lead to catastrophic sea level rise in the decades ahead. In the framework of climate change, coal and ice occupy two different poles. But for all their concrete realness, coal and ice are also symbols, representing environmentally harmful actions on the one hand and their consequences on the other. West Virginia, USA, 2005. Featured in the COAL + ICE exhibition at the Fort Mason Center for Arts & Culture. That’s the broad premise of a free, interactive, multi-week art exhibit happening at the Festival Pavilion at the Fort Mason Center for Arts and Culture in San Francisco through Sept. 23. 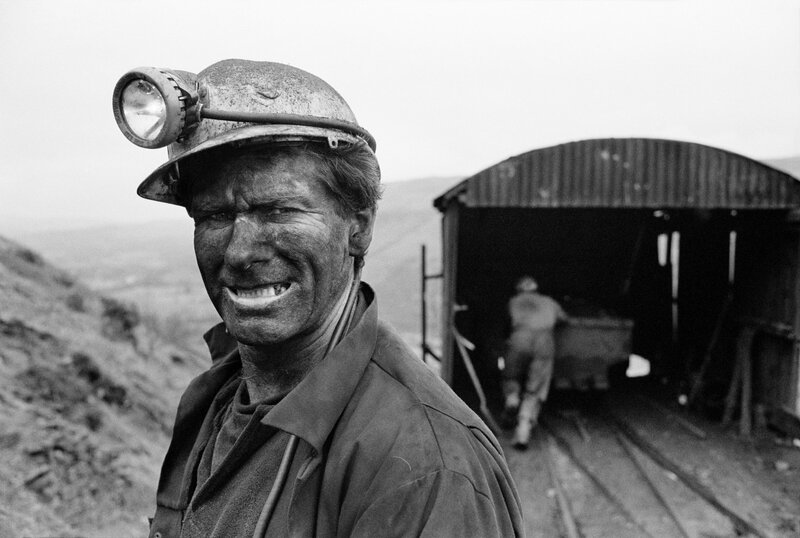 Coal + Ice is the latest iteration of a global art project created and curated by the documentary photographer Susan Meiselas and the designer Jeroen de Vries. The exhibit has traveled throughout China and France, and is now making its first stop in the US to coincide with California Gov. Jerry Brown’s Global Climate Summit. The San Francisco version expands on earlier editions, and features works by more than 40 photographers and video artists. Taquari district, Rio Branco, Brazil, 2015. Featured in the COAL + ICE exhibition at the Fort Mason Center for Arts & Culture. The climate change-related pieces are installed in a vast, 50,000-square-foot space that’s barely illuminated. 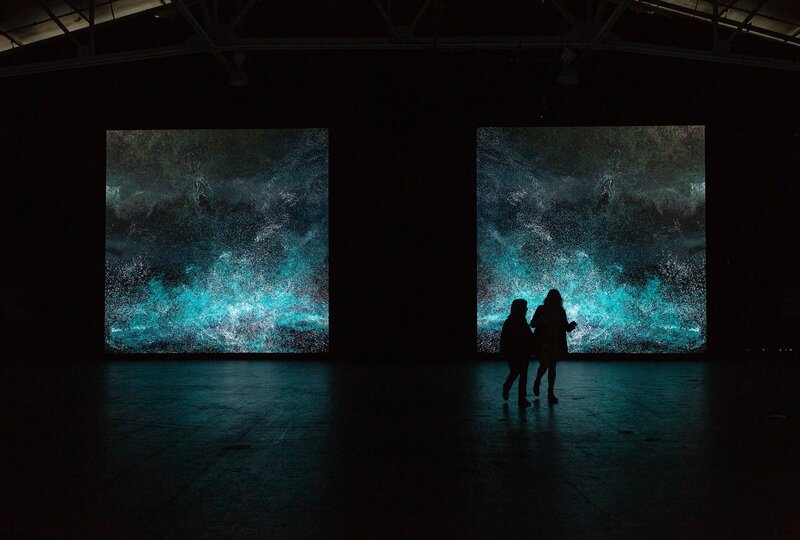 Most of the light emanates from massive photographs and videos on highly textured screens. Almost no text accompanies the pieces, allowing the images to speak for themselves, and a unique soundscape helps to create a mood for each work. The immersive experience is not unlike walking through a sacred space, and visitors are encouraged to chart their own journey as they encounter highly charged scenes of environmental devastation and human portraits. Light Waves II, Digital Wave displayed on LED Wall. Installed at COAL + ICE at Fort Mason Center for Arts & Culture. 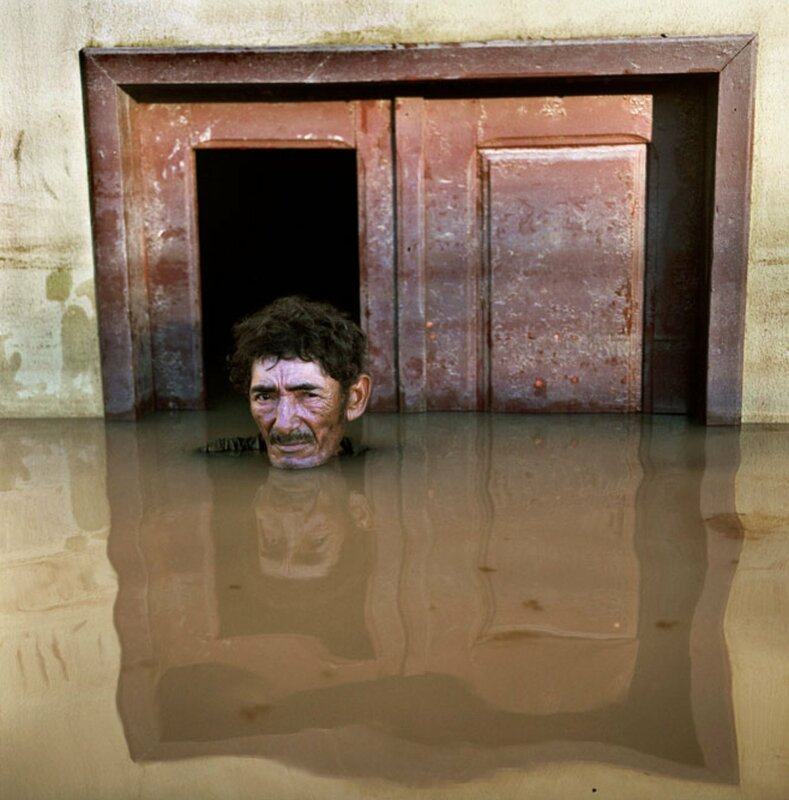 De Vries said that since so much news media is dedicated to climate change, he and Meiselas assumed the audience would have a base knowledge of the issues and would be able to understand the relationship of the images. “Art can make questions visible, art doesn’t have to provide answers,” he added. 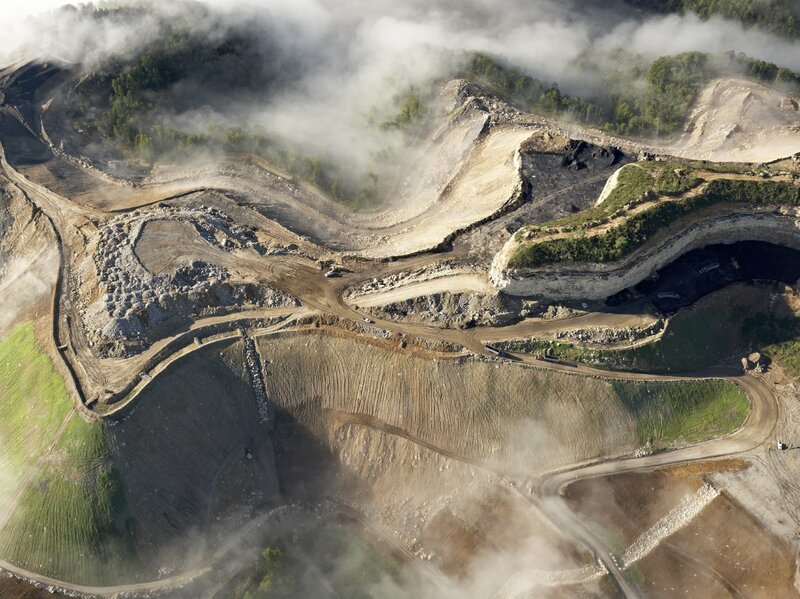 There are images of soot-covered coal miners, rivers contaminated by strip-mining, and defaced mountains. 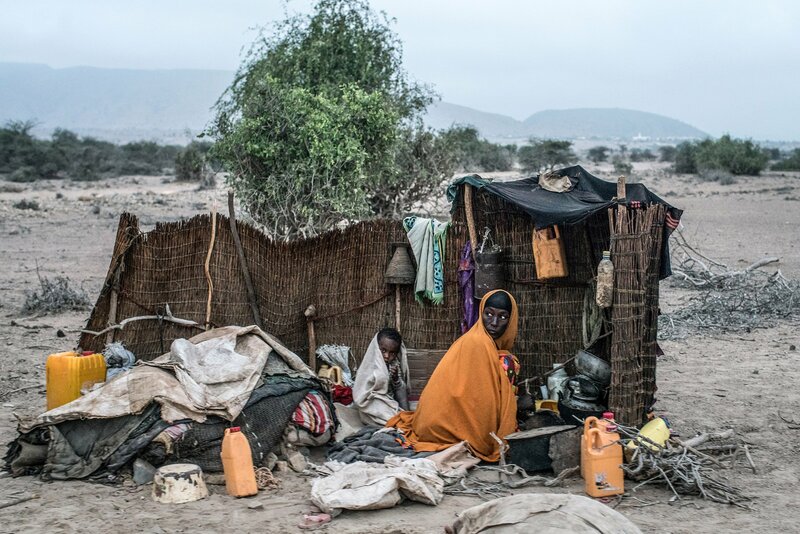 There are scenes of melting glaciers, people affected by drought, and the path of hurricanes. In one piece, stitched-together cellphone footage shows a hurricane's destructive force. “They’re beautiful images of terrible situations,” de Vries said. The exhibit also features talks, comedy shows, poetry readings, community organizing meetings, and much more. De Vries has a long history of activism — campaigning against the Vietnam war, nuclear weapons, human rights abuses, and more — and he said that art has the potential to spur change and break through the status quo. Events that once seemed interminable like the Cold War have been overcome, he noted. Similarly, while climate change seems insurmountable, the will to mitigate greenhouse gas emissions can be mustered. That’s what makes the juxtaposition with the Global Climate Summit so meaningful. 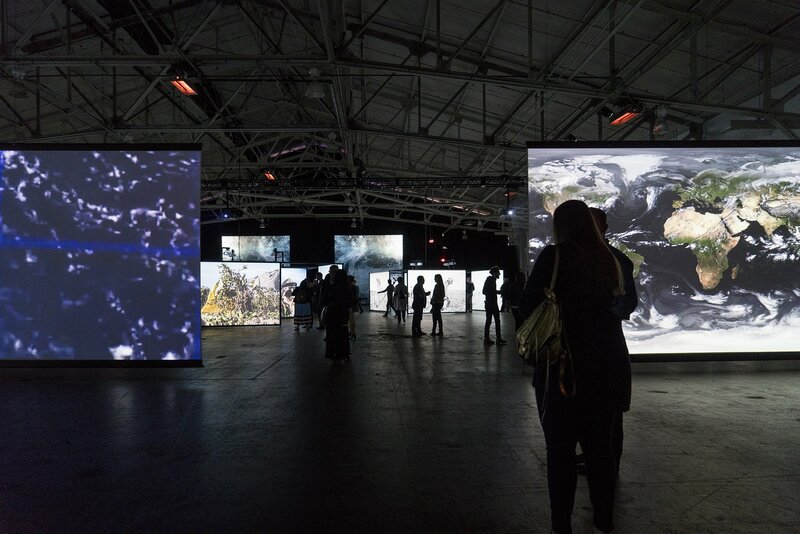 As world leaders gather to hash out plans to diminish greenhouse gas emissions elsewhere in the city, the Coal + Ice exhibit is transporting people into the real consequences of climate change and compelling them to act. “I hope that everyone who goes through this show creates their own narrative,” de Vries said. COAL + ICE at Fort Mason Center for Arts & Culture.